Samsung has published data from a month-long audit of a number of Chinese suppliers used to build their products. 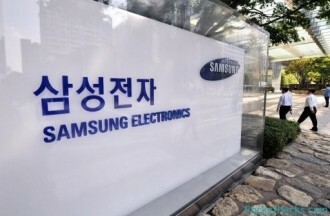 A team of 121 employees checked into the business practices of 105 suppliers to verify compliance with Samsung regulations as well as local laws. The good news for Samsung is that auditors found no evidence of child labor at any of the suppliers. As you may know, an underage workforce is a growing concern in certain parts of China. Granted, it wasn’t all positive as Samsung discovered some instances where regulations and laws had been violated. Of concern were violations related to excess overtime hours, mismanagement of labor contracts and what’s described as the imposition of a system of fines for lateness or absences, as noted in a statement from Samsung. The audit was called for following claims earlier this year from watchdog group China Labor Watch that one of the company’s suppliers was employing people under the age of 16. Samsung denied the accusations that HEG Electronics used underage workers, citing a zero tolerance policy towards child labor laws. They promised to conduct an audit to back up these claims and determine if any other laws were being violated. Samsung has since requested that all suppliers implement an electronic device used to detect fake IDs as part of a new hiring process to deter underage hiring. They have also reportedly addressed the overtime issue and by the end of this year, they want contract issues to be resolved and penalties for tardy or absent workers to be dissolved. Another 144 suppliers are currently under audit, we’re told. That process should be completed before 2013 rolls around.